When you’ve put in hours at the gym and are dedicated to fitness, the last thing you want is to get a workout injury that will set you back from all the progress you’ve made. From maintaining focus and form during your workout to learning how to listen to your body and its signals, implementing even the simplest of safety measures can make a world of difference to your workout or training regime. Workout injuries can happen to anyone, regardless of fitness level, and are much more common than you think. Avoid any setbacks and know how to prevent an injury in the first place by being in the know. Lee Moran from Freedom Strength has the lowdown on nine of the most common workout injuries and how you can avoid them. What is it: An ankle sprain is where the ligaments in the ankle become damaged, and is usually a result of sudden or unexpected movement. An ankle sprain typically happens when you accidentally turn or twist your ankle in an awkward position which can stretch or tear the ligaments. How to prevent it: Before starting your workout or carrying out any form of exercise, it’s vital to warm up and stretch your ankle. 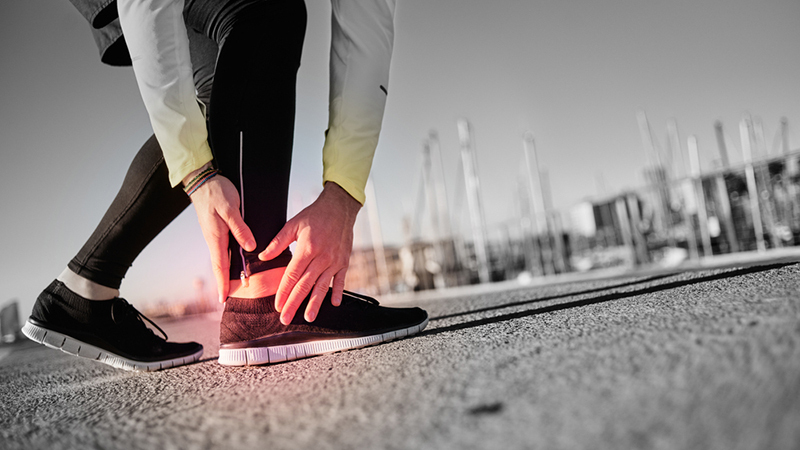 You should ensure you wear the right trainers and footwear to support your ankle, especially if you’re a regular runner and to pay attention to the surfaces which you’re continually exercising on. What is it: A wrist sprain is where the ligaments in the wrist become damaged usually caused from a sudden impact bend in the wrist. Wrist sprains can also be caused by exerting extreme pressure or awkward twisting of the wrist. How to prevent it: Warming up your wrist by stretching and circling will help to avoid any sudden movements. You also need to learn when to rest and stop the activity if your wrist is under too much pressure. Wearing protective straps or guards around your wrists is recommended if you’re involved in weightlifting, gymnastics and diving sports for example, where the wrist endures intense pressure. 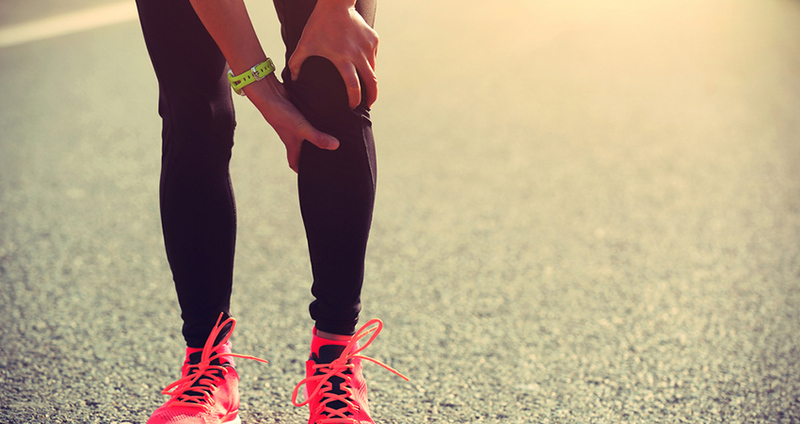 What is it: A common injury amongst runners, Patellofemoral pain syndrome (nicknamed as runner’s knee) is where the stress of running causes irritation and the kneecap rests on the thighbone. Runner’s knee can have many causes – it could be a biomechanical problem, worn cartilage in the knee joints or even high-arched feet. How to prevent it: If you’re a regular runner, you should try and run on softer surfaces so it’s not as much impact for your knee to help prevent running injuries. Wearing the proper running shoes for your foot type and exercise needs is also crucial. Additionally, you’ll want to strengthen your knees with the right exercises so that they can better absorb the impact of running. What is it: Lower back strain is pain caused by damage to the muscles and or ligaments in the lower back. Frequent causes of lower back strain include lifting heavy objects, especially during weightlifting and powerlifting training, lifting whilst twisting or any sudden impact or jarring motions to the lower back. How to prevent it: You should always stretch and warm up before carrying out any exercises or training. Carry out regular core exercises to provide a support system for the lower back, as well as strengthening exercises for your back muscles to help support your spine. Ensure to use workout equipment correctly and safely, especially when lifting heavy objects. What is it: Shoulder strain occurs when the muscles and tendons of the shoulder become damaged, which can often develop slowly through repetitive, intensive training regimes and consistent overhead lifting. Common sports associated with shoulder strain include swimming, tennis and weightlifting. How to prevent it: Prevent shoulder injuries by properly stretching before and after your workouts. You should also be aware of any warning signs, and don’t just “power on through” if your shoulder is feeling painful or sore. This could be the early warning sign of a more severe shoulder injury. What is it: A pulled hamstring or hamstring strain is where the tendons or large muscles at the back of the thigh become torn or damaged. Sudden hamstring strains usually occur from sprinting exercises or stretch-related sports, such as gymnastics, martial arts and dancing. How to prevent it: The main way you can prevent a pulled hamstring is simply warming up and stretching before and after your exercise, and allow extra warm-up time in colder weather. Compression clothing can also help. You should also stop exercising if you feel tightness in the back of your legs. 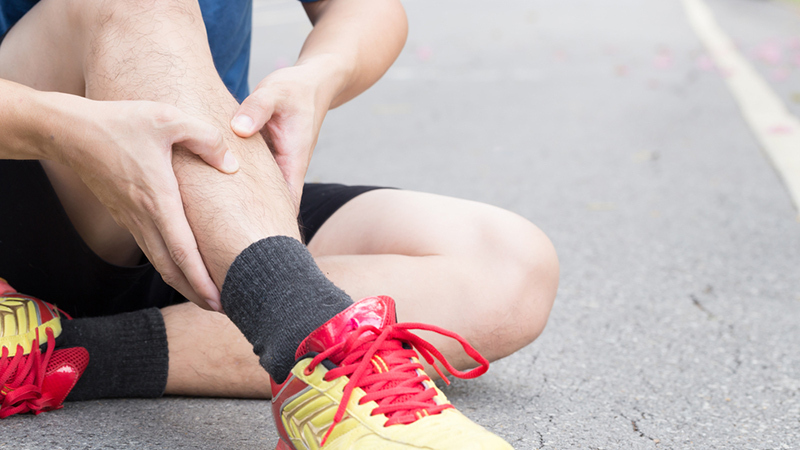 What is it: Shin splints are most commonly caused by repetitive trauma to the connective muscle tissue surrounding the tibia, often caused by sports such as running, tennis or basketball where repetitive strain is placed on the legs and shins in particular. How to prevent it: Shoe choice goes a long way when it comes to shin splints, as repetitive weight on the legs can cause damage to your muscles. Having the right fitting trainer which can cushion and support your feet and legs from impact will help to prevent injury. Whenever possible, you should also run and train on flat, soft surfaces rather than concrete. What is it: Tendinitis is the irritation of a tendon, most common in the Achilles and bicep or elbow areas. Tendinitis is caused by overuse of particular tendons which aren’t used to movement or haven’t been warmed up properly. Tendinitis is also caused my repetitive, minor impact on certain areas and is common in tennis, golf and skiing. 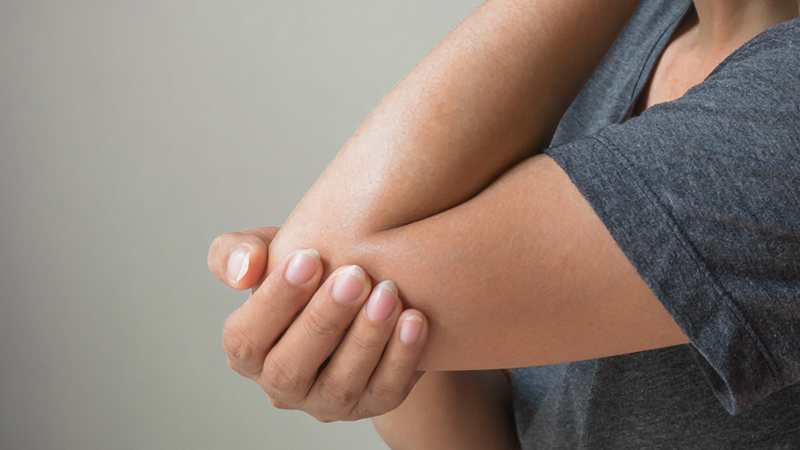 How to prevent it: Tendinitis isn’t a serious injury, but it can be easily avoided. Just like all other exercises, you should warm up and stretch your tendons before carrying out any training. You can then gradually build up your activity level to give your tendons time to warm up. What is it: Carpal tunnel syndrome causes a tingling sensation, numbness and sometimes pain in your hand and fingers when there’s too much pressure on a nerve in your wrist. How to prevent it: Often caused by repetitive pressure and exercises that involve strong grip, adopting a more relaxed style of grip and taking regular breaks from such repetitive activities will help to prevent carpal tunnel syndrome. You can also regularly rotate your wrists and stretch your palms and fingers as you carry out your pre-exercise warm up.